Lumber mill businessman James V. Welsh, a Lancaster County native, donated 63 acres to establish a railroad town – now Kershaw – that was initially named for him. The original depot erected near this site was called Welsh’s Station in 1888 and served the Charleston, Cincinnati, and Chicago Railroad. Welsh was also responsible for building the office for his lumber company that would later become Kershaw’s first library. In 1926 another depot built here in the late nineteenth or early twentieth century was demolished by fire. It was soon replaced by this one. The railroad, at this time owned by the Southern Railway company, served passengers as well as cotton products, transporting good from farms to mills, from 1926 to around 1940. Southern Railway sold the depot in 1945. Since then the building has housed various businesses, including a florist and craft shop. Today the building houses offices for the nearby Haile Gold Mine. 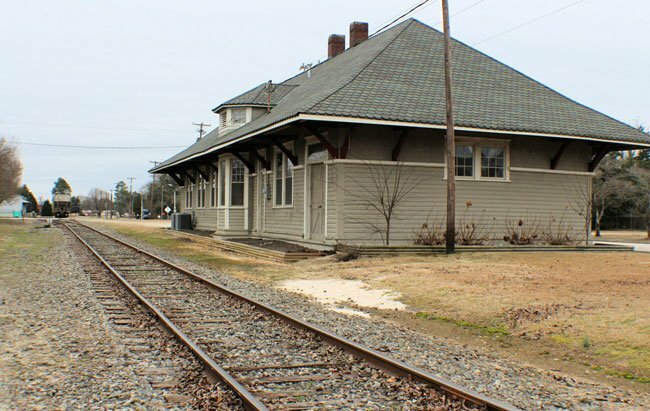 (Southern Railway Depot) The Kershaw Depot, built in 1926, is significant both as an intact example of early twentieth-century depots built in South Carolina and for its association with the transportation of passengers and freight on the Southern Railway from about 1926-1940. 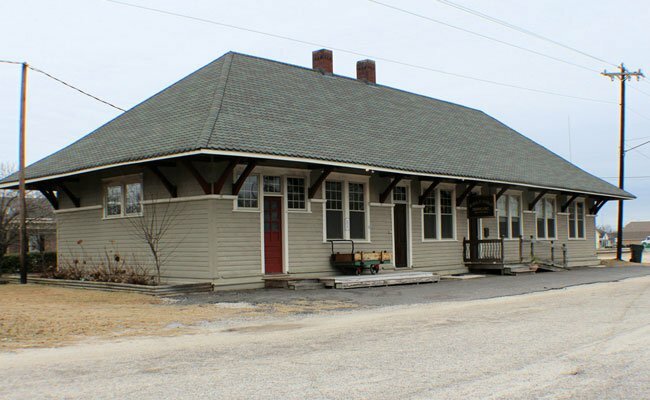 It was the second or third depot built in Kershaw, which developed in the 1880s after railroad service was introduced to that section of Lancaster County. 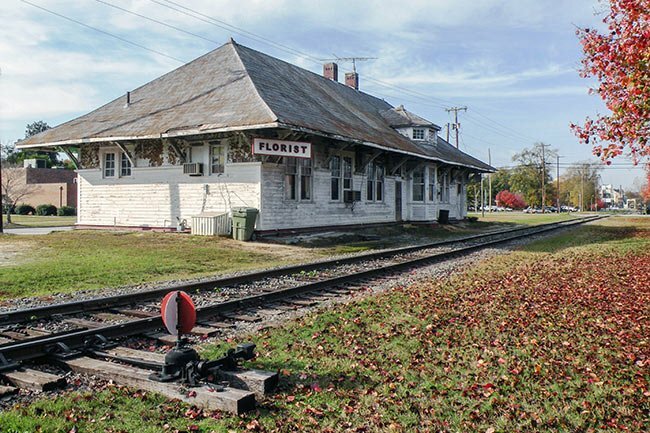 This depot replaced an earlier passenger and freight depot/cotton platform that burned in 1926. Its primary use was to handle passengers; it also handled cotton, cottonseed and cotton oil products from nearby farms and cotton oil mills, and textiles from nearby textile mills. The interior plan is basically intact with a central ticketing area flanked by white and “colored” waiting areas. Men’s and women’s lounges and restrooms are located in the south end, adjacent to the white waiting area. Storage and loading areas are located at the opposite end and have been divided but this has not permanently damaged its integrity. Details such as beaded-board paneling on the ceilings and walls, and the ticket counter, are intact. The Southern Railway sold the depot to the present owners in 1945. It has since been used as a florist and craft shop. My grandmother, Kenny Kershaw, worked for this RR station. If someone knows how to find out any more about this, it would be so helpful.